Did you know that only 18% of computer science students are women? That has got to change! Technovation Challenge is world-wide competition created to get girls interested in STEM careers such as computer science and math. Last year, we coached 3 teams. This team placed 1st in the Junior Category! 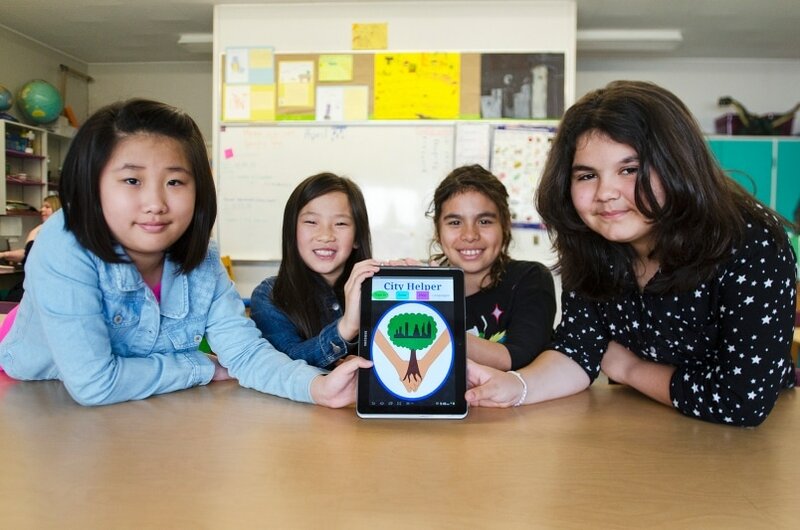 Burnaby nine-year-olds develop app to help new students get to know their community. CityHelper Pitch and Demo videos. Wildlife Altert Reporting App: Has there been any bear, coyote, cougar or other wildlife sightings in your area recently? If so, WARA will notify you and also provide safety tips on what to do if you encounter wildlife. WARA Pitch and Demo videos. Fruits4Life targets children and teens who need help improving their eating habits and who want to have fun while exercising. Fruits4Life provides access to tasty, easy-to-prepare and nutritious recipes. Enjoy playing! 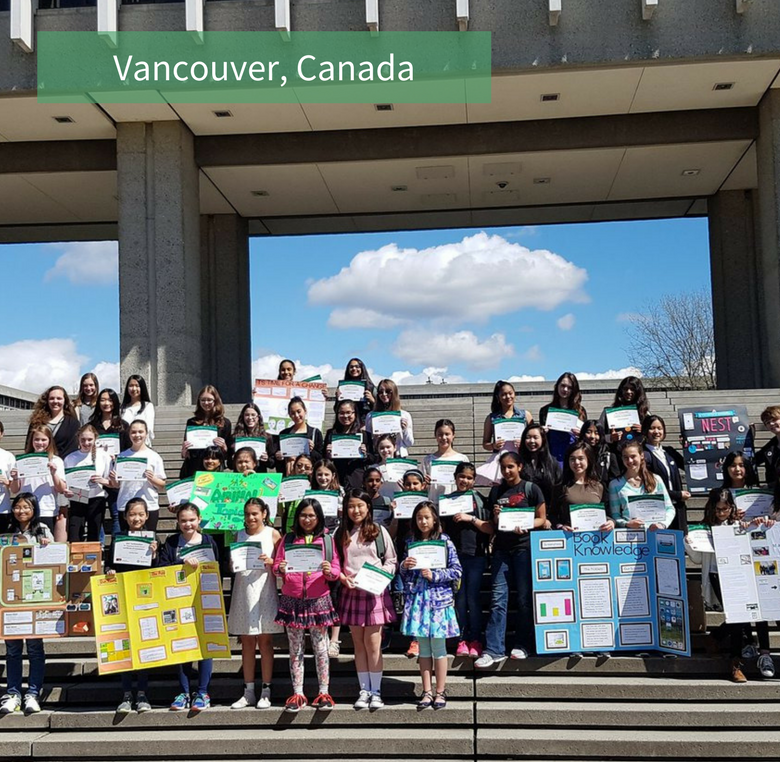 Cameron Elementary's teams, the Tech Girls (above) and Tech Turtles, at the 2017 Technovation Regional Pitch Event. See story: 11,000 girls with courage - is a revolution. 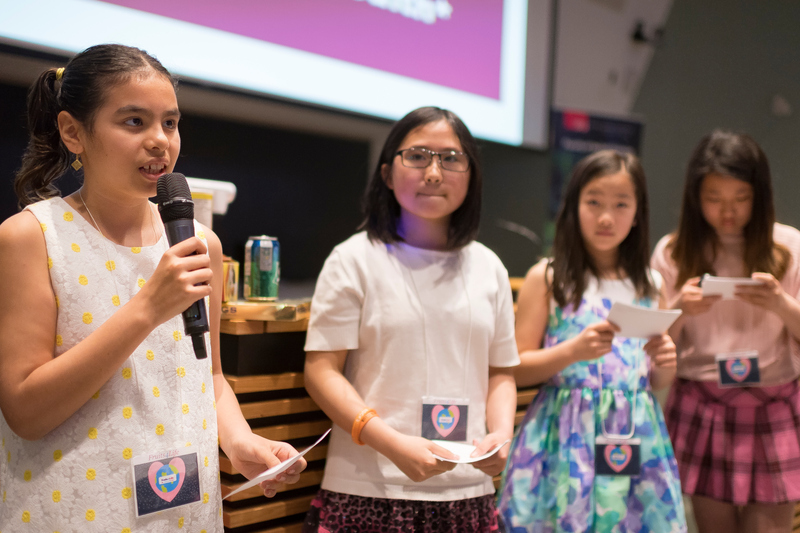 More than 11,000 girls in over 110 countries competed in the Technovation Challenge this year. 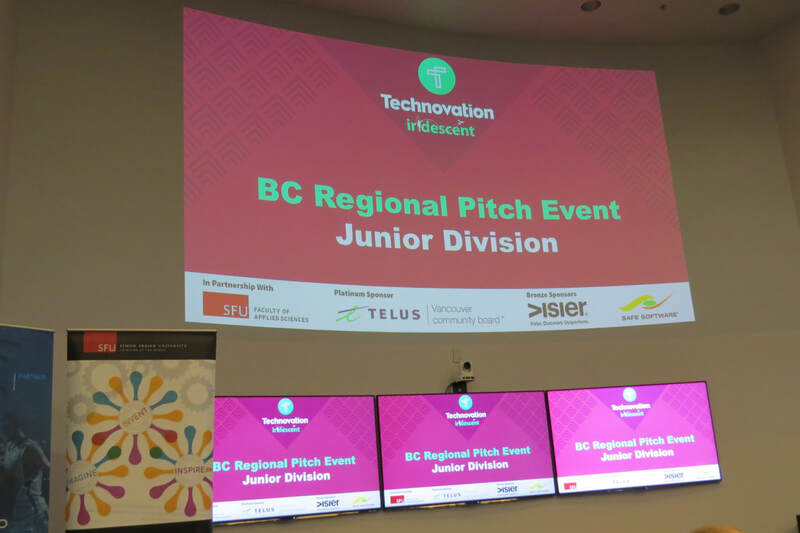 ​News 1130 interview, June 5, 2017, Burnaby students create wildlife app as sightings spike, James Cybulski. 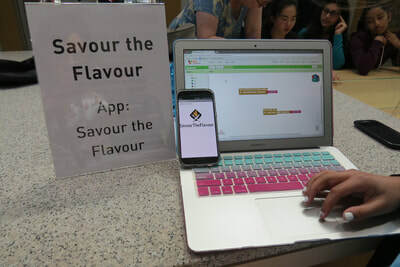 - Savour the Flavour app (Junior Division) demo video.